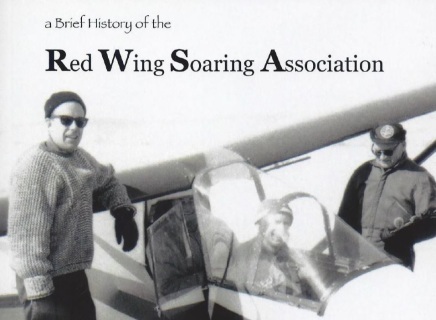 The Red Wing Soaring Association was originally formed in 1963 and flew at the Red Wing Municipal Airport. 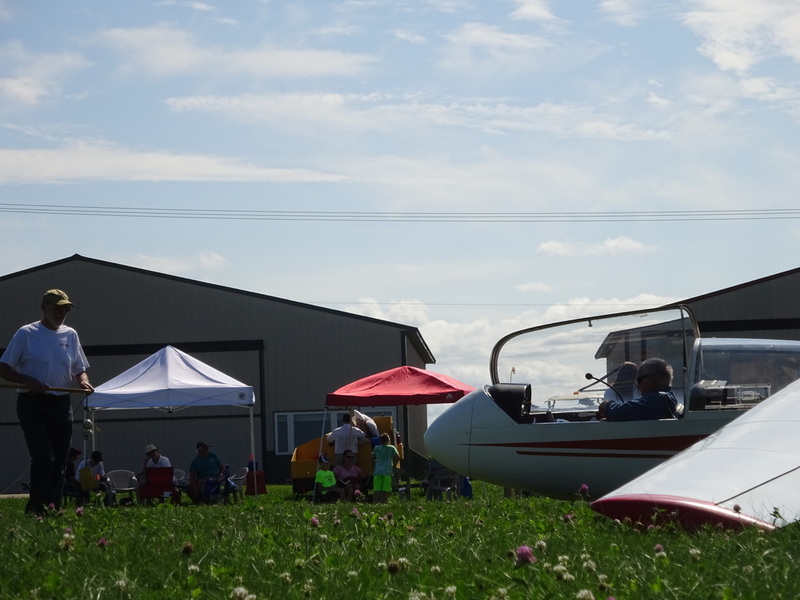 The 20 original members, 16 of them being from the city of Red Wing, secured an interest-free loan from the Red Wing Shoe Company and purchased a Schweizer 2-22C glider from the Schweizer Soaring School in Elmira, NY. Chuck Whitmore of the Minnesota Soaring Club pitched in as the only Flight Instructor, literally getting us off the ground. In 1966 RWSA merged with the Northwest Soaring Society, gaining members and aircraft. Moving to Benson's Airport near White Bear Lake in 1970, the club found a long-term base of operations and an outstanding supporter and friend in John Benson. We stayed for the next 34 years. During those years, the club bought and sold many gliders, survived two destructive wind storms, purchased a tow plane, and gained members and friends too numerous to mention here. In the fall of 2005 the very difficult decision was made to move from our long-time home at Benson's Airport in White Bear Lake to our current base at the Simonstad Airport in Osceola, Wisconsin. In the spring 2006 we were welcomed to our new location by the existing pilot community and anticipate staying for a long time to come. Simonstad Airport has been the site of glider operations for many years and offers long runways, open surroundings, and the beautiful scenery associated with the St. Croix river valley. It is situated far enough from the metropolitan area to be away from congested air traffic and controlled airspace, but close enough to be within a reasonable commute. The near-by town of Osceola offers food, lodging, and fuel for travelers and is easily accessed via Wisconsin 35 or Minnesota 95. This 100 page soft cover history book takes you all the way back to its inception in 1963. RWSA has operated at three different locations: Red Wing, White Bear Lake, and now Osceola. Over the years, RWSA has always remained a relatively small organization averaging about 35 members at any given time. Much of the material on the following pages was taken from the RWSA files that had accumulated since the club's inception, including, but not limited to: newsletters, meeting minutes, newspaper and magazine articles, receipts, and photographs. Club members past and present, stepped up and made contributions with their stories and photos that helped fill in the gaps. The intent of this book is to chronicle the information in a way that's hopefully informative, interesting and entertaining.